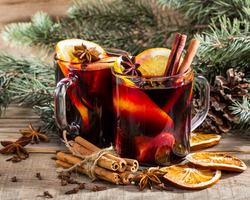 Spiced mulled wine is a winter favorite — warm, flavorful, and always so comforting! And, it’s incredibly easy to make. We’re definitely going to give this recipe a try over the holidays.